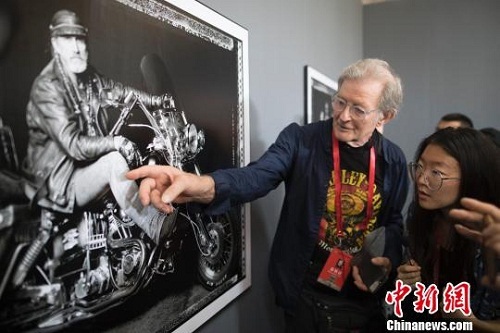 Philippe Vermès, a 75-year-old French photographer, has managed to impress the Ancient City of Pingyao with his black-and-white portraits during the county’s international photography festival, which ran from Sept 19 to 25. For years, Vermès has documented the lives of ordinary folks in France and the United States, such as construction workers in Europe and motorcycle riders in the US in late 20th century. He said, the experience of working as a plumber when he was a student aroused his interest in and respect to these people. 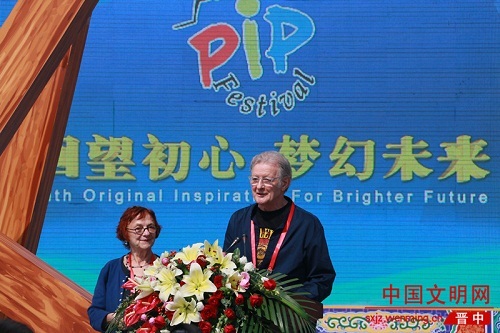 Talking about his first trip to China, he expressed admiration for the country and the photography festival. “China is a rapidly growing country and I’ve been looking forward to this tour for a long time,” said Vermès. According to Vermès, photography is a bridge that connects people from around the world. Though they speak different languages, the art manages to bring them together in Pingyao and create a platform for them to share their diverse cultures.